As we witness the dawn of a new era in Washington, D.C., we may have well seen the twilight of another. It came as no shock to me that President Obama chose to forgo wearing a hat during his swearing in. Ever since President Kennedy left the top hat behind, that’s been the norm. Neither did I expect him to wear morning clothes to a ceremony steeped in pomp and circumstance. Our government changes hands and gets right to work. A well-cut business suit is still the standard, for the moment. But the night of the inaugural balls held, for me, great promise. I hoped to see the President in white tie. And I did. Sort of. I think that’s it for the most formal of dress standards. We have little chance to wear full evening dress these days. We will have to see what transpires if the President and Mrs. Obama host a state dinner for another head of state. The beginning of the end was evident as early as 1955. At least that’s the publication date of my edition of “Emily Post’s Etiquette.” While she begins with a description of evening clothes and suggests using a good tailor to achieve the perfect fit, the subsection on the tuxedo, or dinner jacket, recommends that a man choose it when he must choose between a full set of tails and the dinner suit. 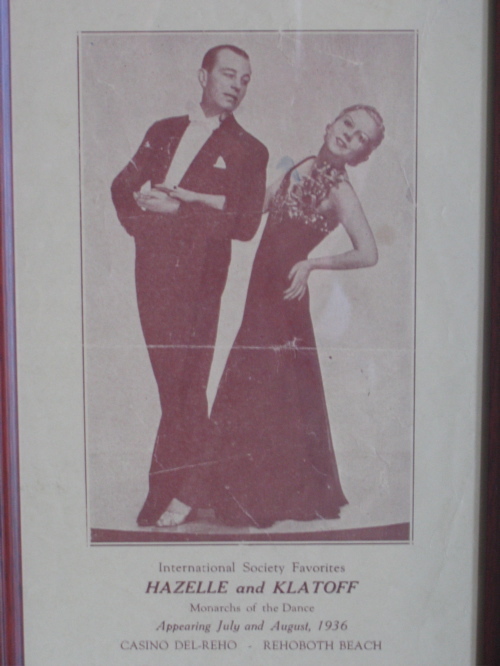 I’ve only worn my tails once, to a dinner dance during which Doc Scantlin and His Imperial Palms Orchestra featuring the enchanting Chou-Chou played. There is a wonderful 1922 set that I have my eye on, but I’m not sure I’ll be headed for any state dinners anytime soon. Nor am I sure that the state dinners will be that formal going forward. Perhaps unlamented, the loss of evening dress does signal one less opportunity for men to look truly elegant. 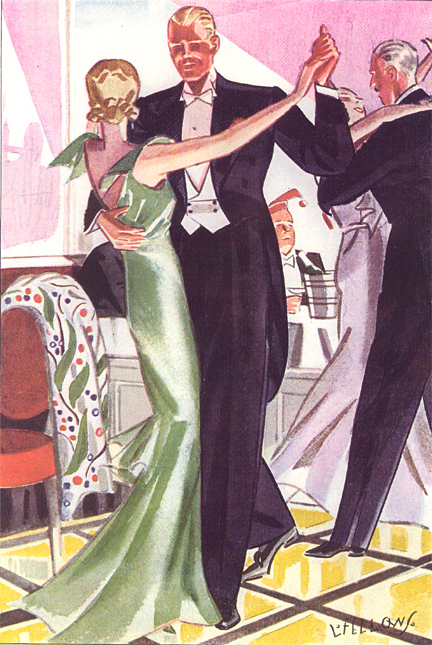 This entry was posted in Elegantology and tagged dinner jackets, evening dress, formal dressing, inaugural wear, tuxedo. Bookmark the permalink. Casino Del-Reho??? How cool is that! I wonder where it was? Fairfax, I have no idea… and wish I could’ve seen it. Times have certainly changed, haven’t they? Wow, in DE no less. I have a Henry Poole Morning Suit that I’ve worn once. I hold onto it in hopes of another wedding (perhaps mine) or an invite to Ascot (perhaps never) but I love looking at it. I have to say I was waiting to see what he’d wear, knowing he would look great in tails. But I was not surprised at what he wore; he knows his style and what he’s comfortable in. And I think there may have been a bit of a nod to the economy and the democratic nature of the day in his choice as well. But when he and Michelle started dancing with Beyonce serenading them, I don’t think anyone was doing anything but enjoying the sheer romance of the moment. Tintin, you are one lucky man to own so grand an article of clothing. LINDA, the dance was a highlight. And Beyoncé did a nice version. Beyond the absence of tails with his white tie, was the “heresy” of wearing a notched lapel evening suit jacket in lieu of the much more elegant peak or shawl options. I’ve seen a few scathing reviews of the 44th President’s Hart Schaffner attire, I felt it was, for good or bad, a reflection of the everyman of the times. We’ll see if he’s a bit more elegant should her Majesty Queen Elizabeth II pays him a visit, I certainly hope so; it worked for 43. It was such a disappointment, wasn’t it? To see just the tip of the white tie, only to have the camera pan down to show suiting that just didn’t quite work? But, it was a glorious night and Michelle Obama looked marvelous. like2run, an acceptable choice in today’s environment. A dinner jacket and black bowtie would have been very elegant on the President. I thought it was a disappointing effort. But it’s immaterial (literally) in these (financial) circumstances. 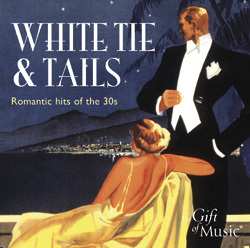 He’s an extremely elegant man, but sadly “white tie” has to be with tails, or go for the equally good black tie option. Times do change. Dress codes change. Elegance never changes.